We are very excited to announce the next Women’s Open Mat! This time it will be a Sleep Over on Saturday, March 29th, 2014!! 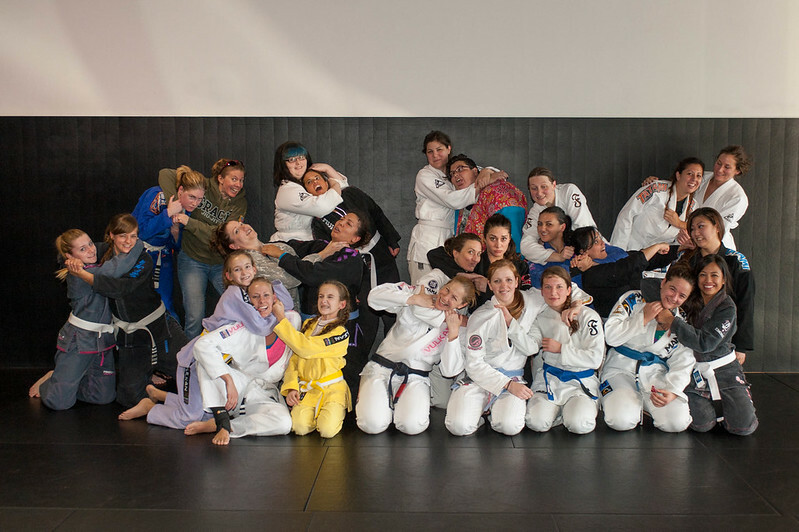 This is a free open mat for BJJ women. We are also using this open mat to kick off Sexual Assault Awareness Month (SAAM). For you BJJ/MMA diehards, Nate Diaz will be in the house prior to the Open Mat. He’s doing a seminar from 11:00-1:00PM. TIME: 7pm Saturday night till – 8am Sunday morning. You can train the full 12 hours or rest in between. This is an all nighter. REGISTRATION: Send an email to Carol Ann cwdefense@gmail.com, or call if you have any questions 304-279-5802. You may arrive as early as 7pm. Doors will be locked at 9pm. There are showers at the school for those of you who want to shower. Do not forget your sleeping bag. There will be snacks for everyone to enjoy. If someone would like to bring their own special snack to share, please do. We have a refrigerator and microwave. Also a coffee pot!! Some us will be traveling to Alexandria on Sunday morning the second Diaz seminar. Anyone under 18 years of age will need a waiver signed by a parent. The Dulles International Airport is close to the school for those who will be flying. This open mat is free and open to all females. It does not matter if you are currently training Brazilian Jiu Jitsu or have never stepped foot on a mat. So, bring a friend!! Our goal is to bring women from all over the world to one place to encourage one another, share experiences, tips, fears and questions. If you would like to teach a technique, let me know and we will create a list of techniques to be taught that day. If you have open mats in your area coming up, feel free to bring the information with you and promote your day. Hope to see you on Saturday, March 29th, 2014!! May I simply just say what a comfort to discover someone that truly knows what they’re talking about on the net.